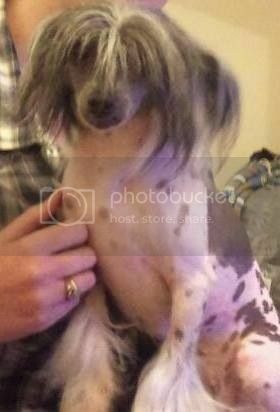 Georgia is a 5 year old Hairy Hairless Chinese Crested. As is usual for the breed she is wary of new people, but very loving once she gets to know you. She loves to run off lead and is super fast, but just runs round in circles, never far and the rest of the time stays by your side, however she can be snappy with unknown dogs she meets so has to be put on lead when there are other dogs around. It takes her a bit longer to get used to bigger dogs, but after careful introductions she is fine as long as they are calm. In the home environment she loves to snuggle with other dogs and clean their ears for them! 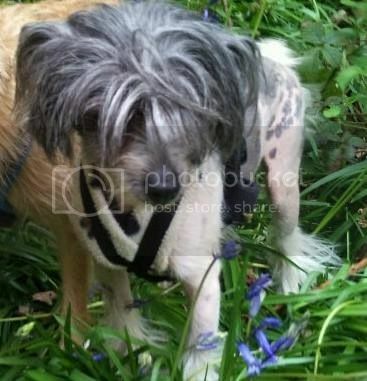 Georgia is particularly fond of other Cresties so we will be looking to home her with at least one other resident Chinese Crested Dog, without children, and where someone is at home for most of the day. Cinque Ports Rescue will only home Georgia to those with prior knowledge of the breed, or can demonstrate they have researched this breed thoroughly. As Georgia is a hairless dog a regular skincare regime is necessary and she will require clothes for walks in the colder months and skin protection in the summer. Georgia is spayed, microchipped, worm & flea treated and is currently having her vaccinations brought up to date.